Vacation Fun Day 1: So it's the summer which means that you are either on vacation, just back from vacation or counting down towards vacation. 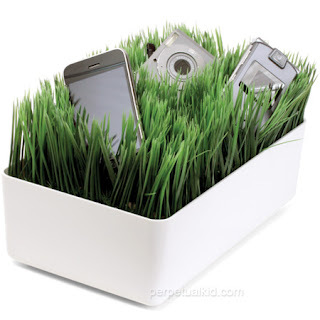 In the spirit of my vacation this week, all of this week's posts are going to focus on office supplies and time wasters to help you while away the hours. If you're stuck in the office and dealing with a little bit of the old office frustration, there are office supplies that can help with that. Here's a collection of items that I found surfing the online store Perpetual Kid (isn't that a great name?). 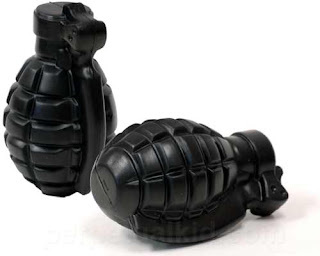 How about a grenade stress ball? 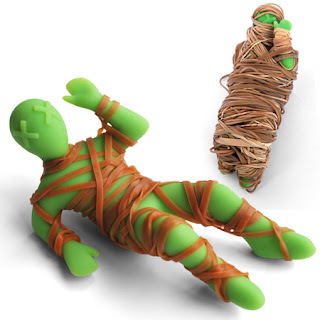 Or a mummy rubber band holder? 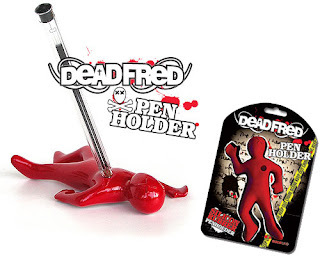 A stabby little pen holder? 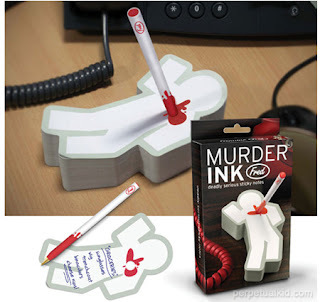 Or a stabby note pad?